Don’t Let Humidity Weigh You Down! Step out of the shadows and into the light! Pro stylists share how to beat humidity at its own game. Keep your hair moisturized so it won’t soak up excess moisture from the damp air. Deep conditioner, leave in conditioner, and coconut oil help counteract the effects of humidity, leaving your hair healthy and hydrated. Before styling, apply an anti-frizz serum, leave in conditioner, or argan oil from roots to ends. These products will prevent your strands from swelling in the humid air and help reduce that troublesome frizz! Leaving your hair down makes it more susceptible to the style-wrecking effects of humidity. Try pulling it up and away in a loose hairstyle to keep yourself out of a sticky situation! Head scarves and headbands are great ways to achieve an effortless, polished look. For a more elegant touch, try a braid, and just apply leave in conditioner to help control reckless strands. As some of us know all too well, curls plus humidity can equal disaster! We recommend you work with your hair’s natural, beautiful texture. 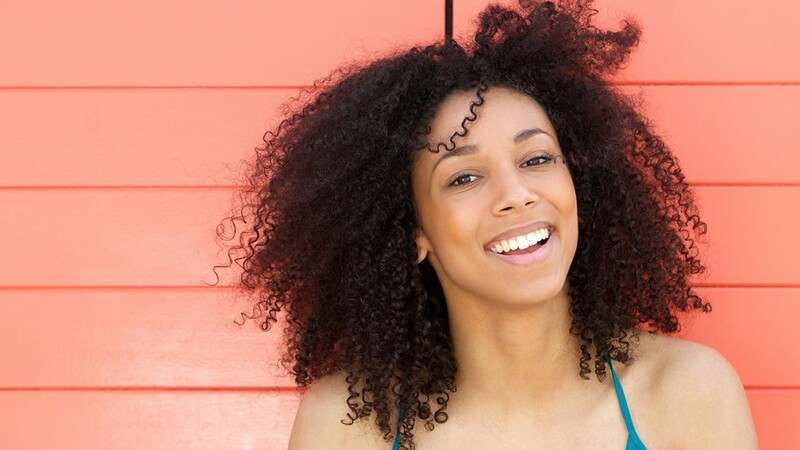 Humidity will bring out your natural curls, so you might as well embrace it! Show your hair some love with this reliable strategy: Apply nutrient rich argan oil to wet hair. Then, use a diffuser attachment on your blow dryer to enhance the natural shape of your curls and fight humidity. Be sure to steer clear of vigorous towel-drying as the friction creates frizz. Indulge your summer fantasy with brilliant, head-turning hair color! Try a custom, salon-quality hair color made just for you by experts. Go to eSalon.com to learn more and find your most flattering shade.